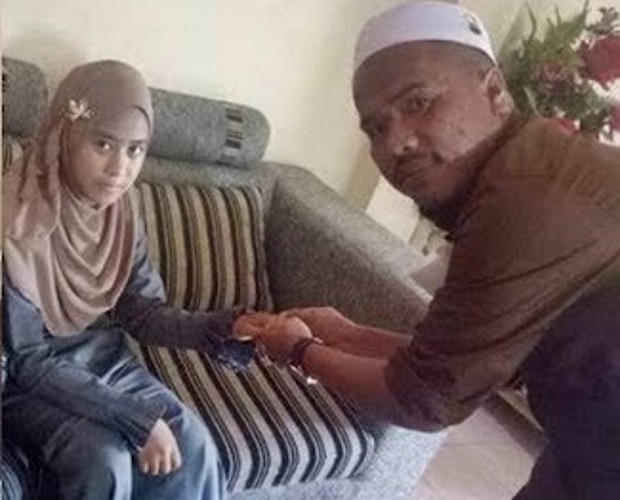 One day this summer, 11-year-old Ayu married 41-year-old Che Abdul Karim Che Hamid at a small pink mosque on the banks of the Golok river in the far south of Thailand. Earlier that morning, Che Abdul Karim and his soon-to-be child bride had travelled over the border from Malaysia into the Thai province of Narathiwat for the wedding. After a short ceremony at 11am and a trip to the Islamic Council offices to get their marriage certificate stamped, the couple crossed back over the border. Ayu, was now Che Abdul Karim’s third wife.